Are you looking for the perfect one of a kind bridal shower or wedding gift? Yale Cleaners now offers a wedding dress preservation gift package. 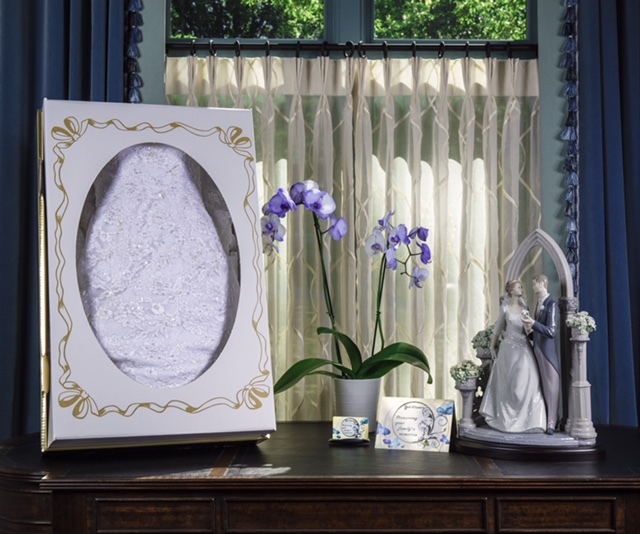 Give the gift that last a lifetime, preserve her wedding gown. The wedding gown is a representation of one of the most wonderful and important days in a women's life. She has dreamed of this day since she was a little girl. Her special dress will become an heirloom treasured for many years to come. The ultimate wedding present, preserving the memory of her wedding day! 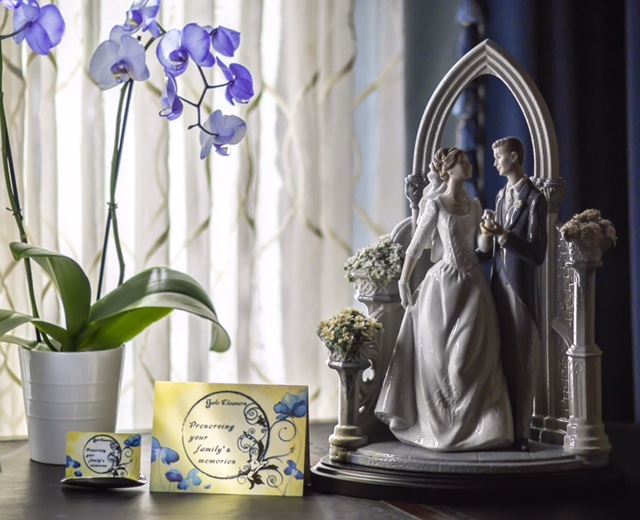 Yale's unique gift package includes an eloquent wedding greeting card, foil lined envelop and Yale Cleaners Preservation Gift Card. Her special dress will be cleaned, pressed and preserved. This gift is perfect for every bride. This preservation Gift card is issued by and represents an obligation of yale cleaners,Inc.to clean preserve and box your wedding gown.Yale will deduct the full cost of preserving your wedding dress from the balance of this card.If any balance remains,that amont will be transferred to a yale cleaners Gift card and will besubject to the terms and conditions of that card. (1)This preservation Gift card is not redeemable for cash. (2)PreservationGift cards cannot be replaced if lost are stolen. (3)Coupons may only be used at the time of preservationGift card redemption. (4)Yale cleaners'approval is required to advertise this card.